The first sign of the Egyptian zodiac is The Nile. 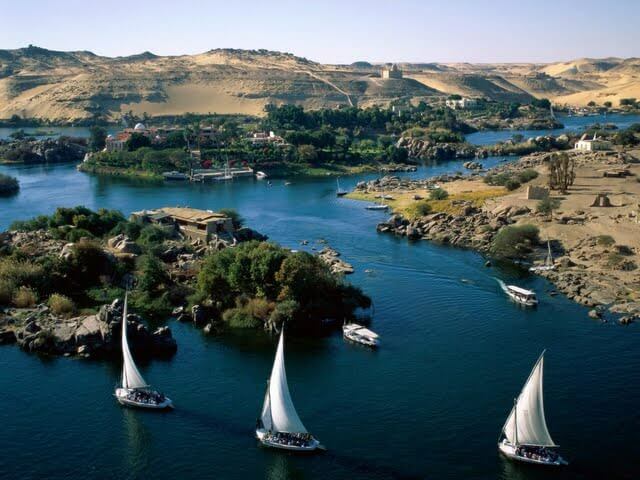 The Nile was a very important aspect of life in Ancient Egypt. It was not just a river, but also the life vein of many activities. It provided essential necessities that made life flourish for all civilizations that were along the Nile. As the first Egyptian astrology sign, The Nile represents the beginning and the start of something. In Ancient Egypt the Nile river represented a beginning to a prosperous and fruitful life. Its flow and nature would change just like those born under it’s energy. Of all the Egyptian zodiac signs this is the first one and the only one that does not represent an Egyptian god. These people have a very peaceful and passionate nature about them. They do not like conflict and will strive to always keep the peace around them. They can sometimes be ruled by their passions, but they are as wise as they are passionate. Their changing moods can sometimes get the best of them. One moment they are calm and peaceful and the next they are irrational and angry. They are strong observers of the world around them. They use their observations to put a plan of action in motion. Their strong observation also makes them very intuitive. They are good at communicating with others and attract many friends because of their bright and intelligent nature. The Nile people have analytical minds and love to dream about the possibilities of wealth and how to use it to live peaceful and serene lives. They love to be surround by refined things. They welcome people from all walks of life into their lives. They are very giving and have a strong need to help others. They can be very protective of others, often giving selflessly, especially to those that seek to gain more knowledge of themselves. They are good with details and will always prefer to take the peaceful route to any venture. They would rather make sure that everything is in order and safe before proceeding. They are slow and cautious. They are very practical with anything they do. They have a lot of patience and understand that anything worth having is worth taking your time to obtain. The Nile Egyptian sun sign are naturally nurturing and can be very motherly. This corresponds with the nurturing qualities of the Nile river. They are self disciplined. They are serious and may want to pursue a career that suits their practical, studious, analytical nature. Since their sign represents the beginning they may wish to open up their own business or begin a new business venture or innovation. The Nile Egyptian Goddess sign can act hastily when they are not feeling at ease and can have unexpected emotional outbursts. Their obsession with details could make them prone to nervous energy which goes directly against their need for inner peace. They can be moody, changing mood in an instant. This can make others want to stay away when one of their mood swings strike. To the outside world they are the picture of calm, but inside they have a nervous energy that is always trying to find peace on the outside as well as the inside. They are constantly striving to improve themselves by controlling their moods. The lucky colour for the Egyptian goddess The Nile sign is Red & Blue. The sacred animal for this sign is the Antelope. This Egyptian sign is compatible with the Amon-Ra and Set signs. It is of a woman with antelope horns. The associated zodiac sign is Capricorn. The polarity for The Nile is feminine.